HANS device next then sir! Agreed to be honest, it does surprise me no one ever checks those sort of things on a track day.... I did one recently where no one even checked to see if if anyone had a driving license!! HANS and new harness will be on the shopping list once the cage is installed, for now I'm working through the brakes and brake lines. I maned to get a bit more done last night, front circuit is now complete and I just need to make up one more for the rear and then it will just be fluids and bleeding the system and checking for any leaks. Also noticed that I'm probably due a new set of front pads and that my rear calipers are well and truly shot so a they will be get a rebuild as well as fresh discs and pads from Tarox. Wont be long before my 6 pot conversion for the front is ready as well!! I'l post some pictures up later of how the brake lines/bias valve and all the little adapters have been installed. So a few pics of the progress on the braking system.... now before anyone starts I admit it certainly isn't the neatest of jobs. I have admittedly rushed it a little bit but, its functional and it will work as intended. I may remake some of the pipes and tidy it up a little bit but for now it'll do the job intended. In other news I picked up my roll cage yesterday, the car is undergoing its biggest transformation for quite some time! Hiya, please tidy those brake hoses! It doesn't look like there's any slack in it which may lead to the hose or fitting being ripped with the suspension movement. Also it's a good idea to have an air loop in the pipe/hose to stop air getting further back into the brake pipes or master cylinder. 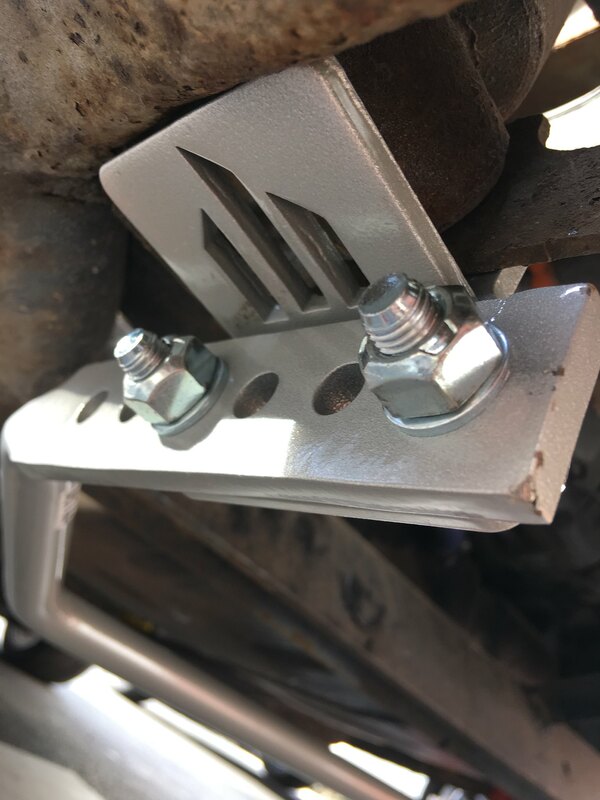 Brake lines are fine, not pulled tight and the suspension is at a full extension in the pictures, once compressed and on the ground it wont cause any issues. Just have one more pipe to make up and then thats the brake lines all done, will attempt to get them bled up and check for any leaks this week. In other news... 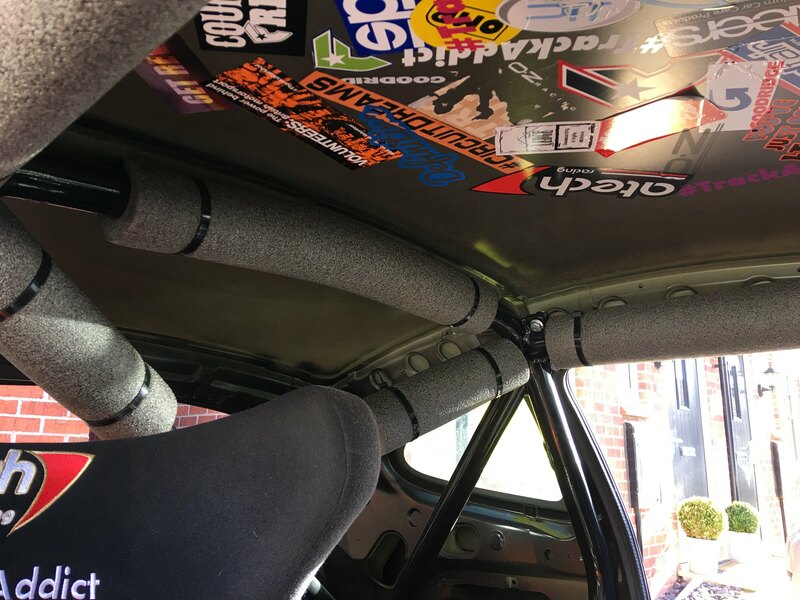 I started to fit my roll cage. Got the rear section in and secured loosely. Yesterday afternoon I removed the dashboard so I could start to get the front half fitted. I'l also be doing so much needed tidying up of the loom behind the dash. I also need to fix a long standing issue with my heated front screen and get that working again. Couple of pics of the rear cage in. dropped one of the door bars in just to see how high they sit.... Gonna be fun climbing over this! Took the day off work yesterday and after a morning out with the wife walking the dog and a pub lunch I managed to spend a bit more time working on the car. First job was fill the brake lines with fluid and bleed the system up as well as check for any leaks. All went smoothly and all leaks cured just by nipping up the unions a touch. Fresh Tarox fluid and I also spotted that my front pad material is low so new front pads are on there way again from Tarox. Fitted a few parts that I had been gathering over the last few weeks... first off, replacing my very old and worn air filter for a nice new Ramair one. And in with the nice and new! Decided the time was now for a service as well, fresh new filter and oil. 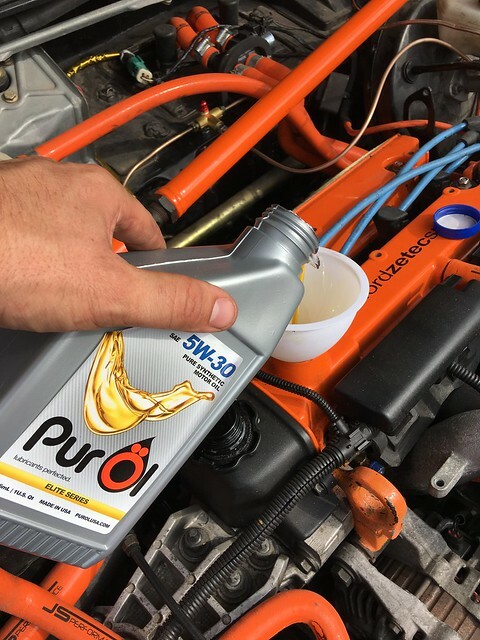 The Oil I'm using is from an american company call Purol, they got in touch with me via TrackAddict and kindly offered to sponsor my car. I'l report back on how I feel the oil is/performs. The guys behind the company are ex NASA engineers who developed their own oils for their own track/race cars. 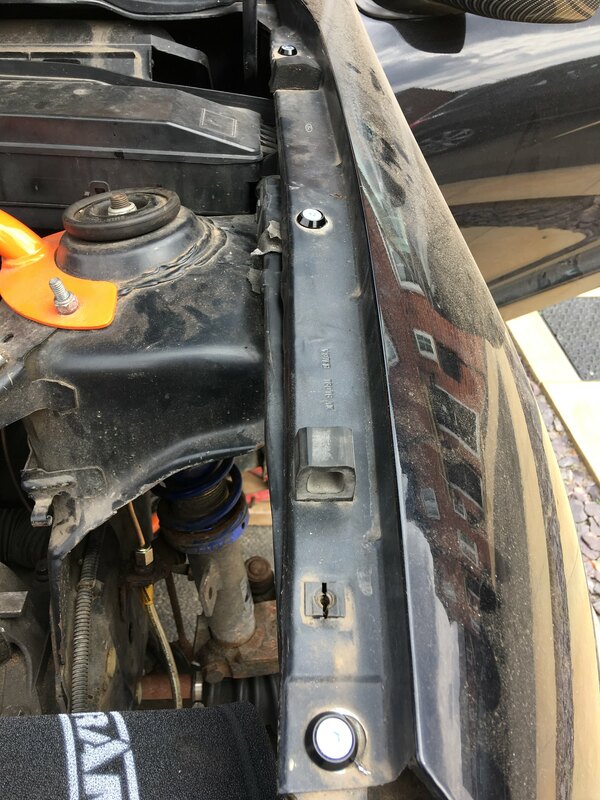 Lastly, I made a little mod purely for cosmetic reasons, One thing that always bugged me is the the way a lot of the standard Ford fasteners look, especially the wing bolts, so I removed and replaced with some nice M6 s/s countersunk bolts and black anodised washers. I had to open the holes out with a 6mm drill bit but its a nice and quick modification that looks much better IMO. After... I need to clean it all up under the bonnet but she'll be looking great under there again soon. 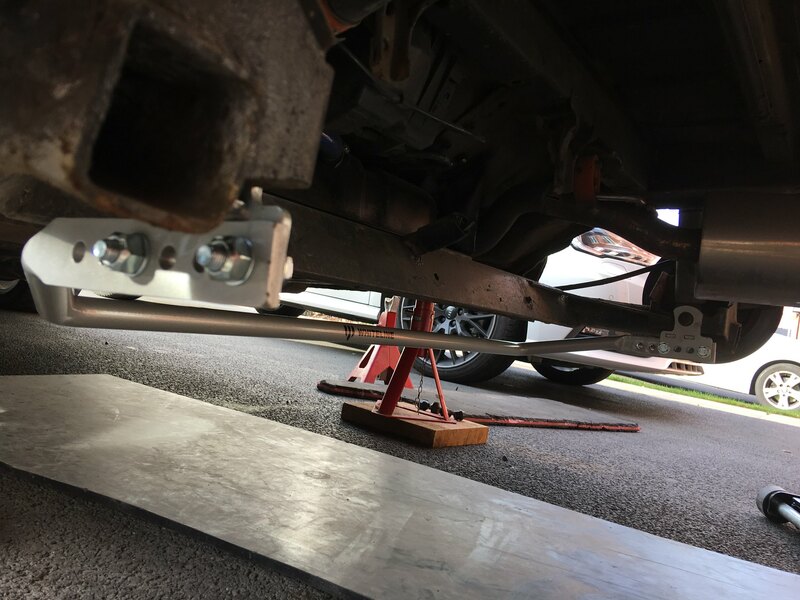 I finally managed to get the car back in one piece (exterior) and get it down off the axle stands which means I can get the rest of the cage fitted in the next week or so. Front bumper is now quick release using two bonnet pins mounted on the side of the bumper. Makes removal/install so much easier. I'm now planning how I can mount my front splitter to the chassis rather than the bumper, I just need get some brackets made. Its the listed induction kit for a Puma. Some minor progress made over the weekend, while the dashboard was out I thought it only right to reduce the weight of it so I removed the metal frame. More progress on the car this week, the cage is now in and being welded into the car. Once I get it back and start to measure up for where I'l need to trim the dash to get everything back in. What purpose is the metal structure behind the dash? 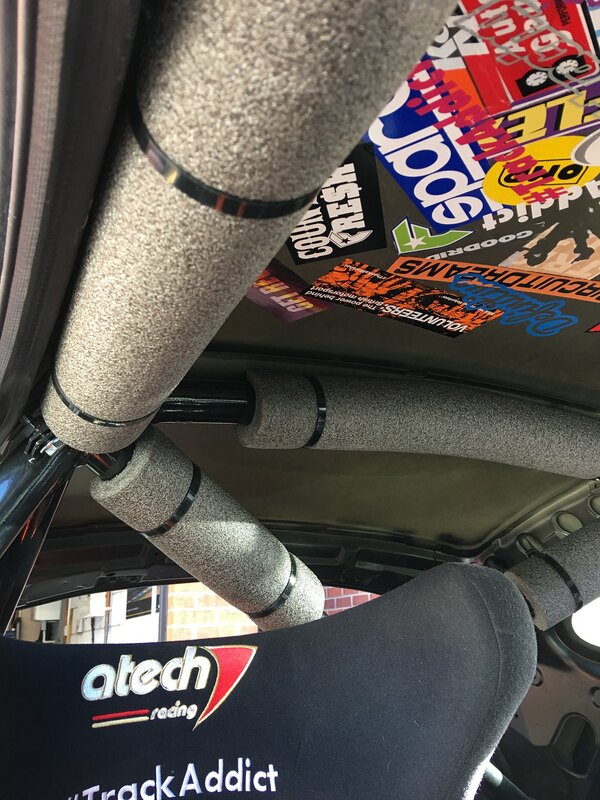 Is it structural to the car or support for the dash..? 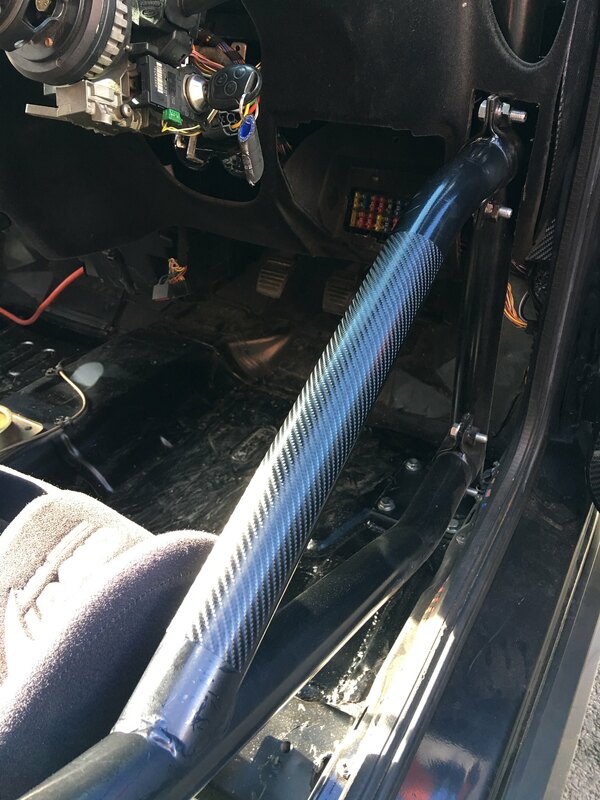 I want to cut my dash down but don't know how strong it would be if I were to remove the metal structure too..
Its structural to the dash, I cant imagine it adds any support or strength to the car. I haven't thrown it away yet as I may need to add part of it back in to keep the dash secure.... hopefully I wont though. I removed the dash `bar` ages ago. Though I did keep the end plates to secure it to the A pillars. I have not had any issues, although it wobbles like billy-o at high speeds. Like the cage, your car`s developing nicely..
Well I finally got the car home on Wednesday evening, the cage is mega although it is a bit tricky getting in and out now. Hoping the weather will be on my side over the next few days so I can make a start at getting the interior tidied up and all fitted back in. Currently awaiting on some 3D printed parts to be made for a few trick little items. As much as its a "race car" I still need it look and present nicely for my own satisfaction. 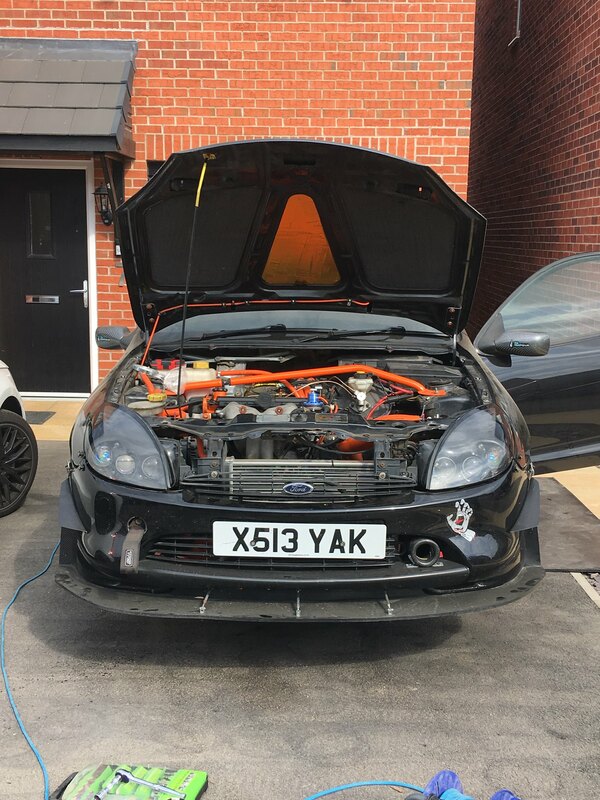 Got bored of the lime green bits on the car so it all going, sold the Induction Hose and the other hoses i had on there, all being replaced with orange! Then i found a new company called JS Performance producing silecone hoses, very good quality aswell i might add, and there ALOT cheaper than Samco or SFS, so i ordered the 2 radiator hoses from them, £50! Gonna be ordering the Induction hose when they've got the tooling sorted and made them up! 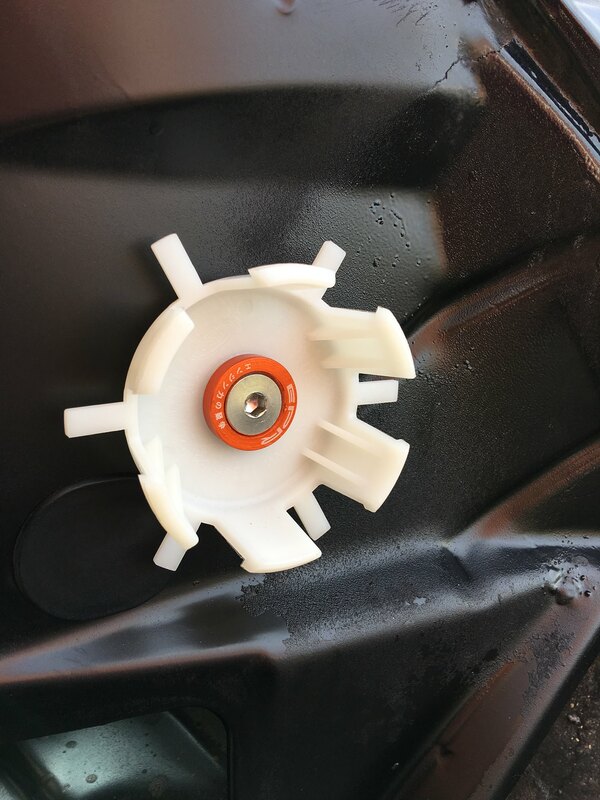 Also ordered some orange caliper paint and im gonna be repaing the rocker cover electric orange then getting the strut brace out and having it powder coated to match! Plenty more work to be getting on with! Oh and ive bought anothe car hehehe... my new track rat! Managed to get a few other little jobs done yesterday afternoon. 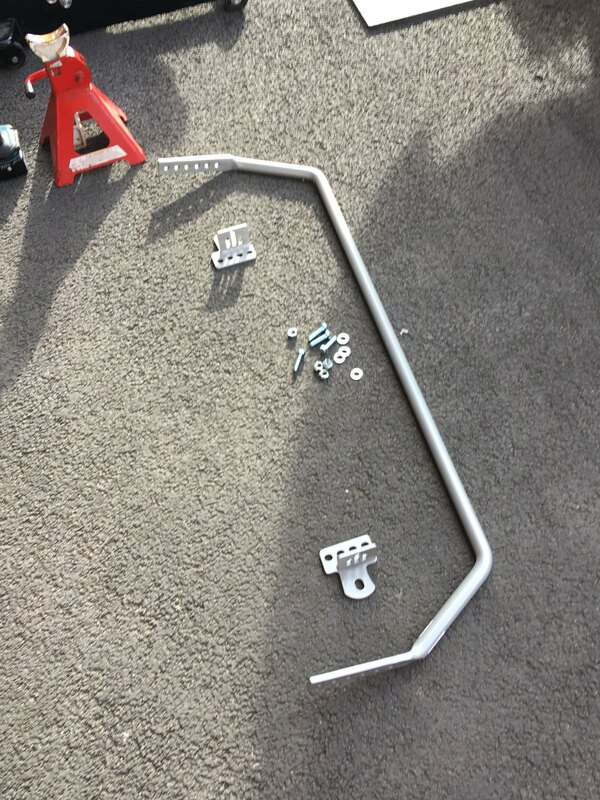 First one was to sort the rear bumper out, the two side clip/mounts have been getting weak over the last few months and not holding the bumper tight enough, I managed to find two brand new ones on ebay a couple of weeks ago which I won for £2! Also had a good clean up behind the bumper and added a little bit of bling to the brackets. The bumper is now held much tighter to the car and doesn't feel loose. Something I've been meaning to fit for a long time is my wired go pro remote, its simple button to start/stop recordings. 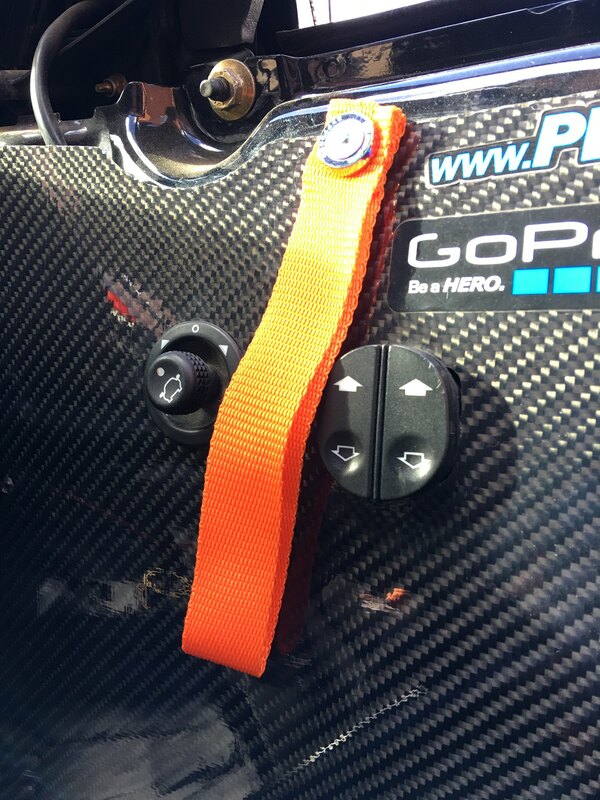 GoPro is mounted on the car and the wire just runs round to place the button above me in the car. Final job I did was to make a new panel for where the radio once was and to mount my kill switch which will be wired into the ignition. 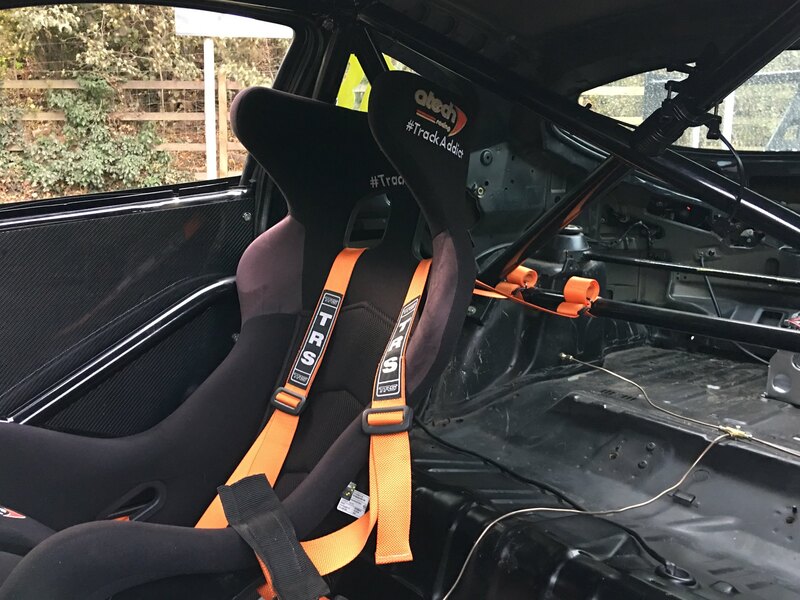 Few more jobs still to do inside the car, battery cables being the next one on the list, roll cage around the head area and then mount the passenger seat. After that its good to hit the track again! Got busy again on the drive way yesterday, something I've been wanting to do for a while was fit a rear ARB. After a few discussion with Whiteline I decided to gibe their mk6 Fiesta ST kit a go. All the measurements said it would fit but obviously I wouldn't know for sure until I tried to fit it. Well I'm happy to report that it does.... perfectly. ***disclaimer*** I think I've fitted it upside down, going to flip it over one night next week. Had to take the car out to for a quick spin, can't report back any significant difference yet but I haven't really pushed the car, will need to get it on track. Interesting in the difference the ARB makes. Are these kits available from Whiteline directly? Should also work with Fork-mount shocks I guess? Are these kits available from Whiteline directly? 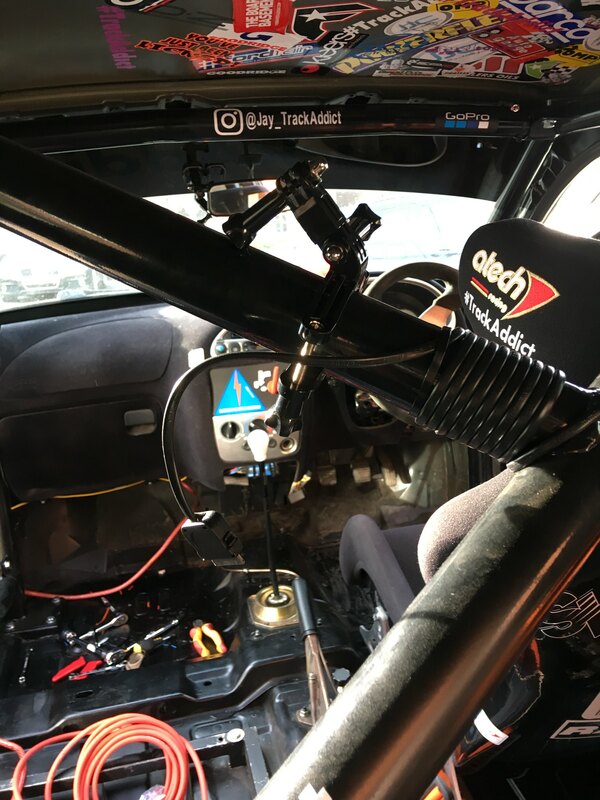 Should also work with Fork-mount shocks I guess? Stole an hour or so yesterday afternoon to tidy my garage up a bit and in the process also did a few jobs on the car. Nothing major but its all steps in the right direction to having it back on track and a bit easier to live with. And finally.... after years of reaching for the door and having nothing to grab on to I fitted some pull straps. Next job is to make some new battery cables up and route from battery to kill switch, bleed the brakes up again and fit a new set of Tarox front brake pads. Hi a few pages ago I saw that you went for a slimline fan. I want to do the same as I'm in the process of supercharging my puma and the oem fan gets in the place. How did you wire the new fan? Because the oem is 2 speed and the aftermarket one are usually 1 speed. Do you get rid of the resistor and connect the new fan to the low speed wires or did you wire it to the high speed wires? Do you by chance have any photos of it? Do you use Electronic modul which gradually adjusts the speed of fan according to the temperature of the radiator?